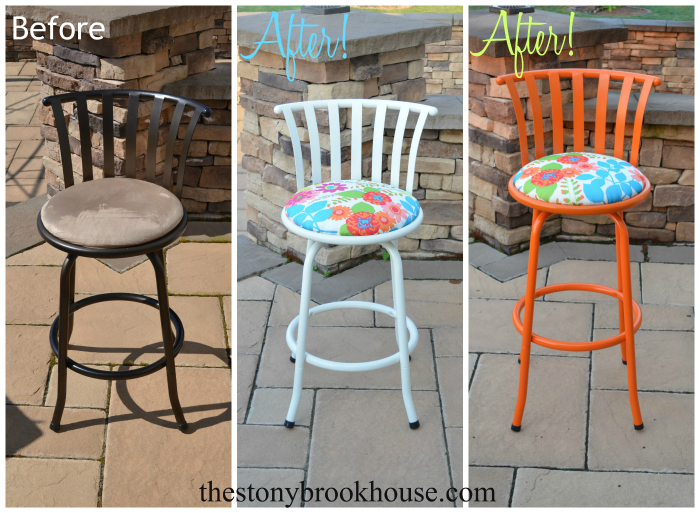 I knew I needed to finish my other set of barstools. 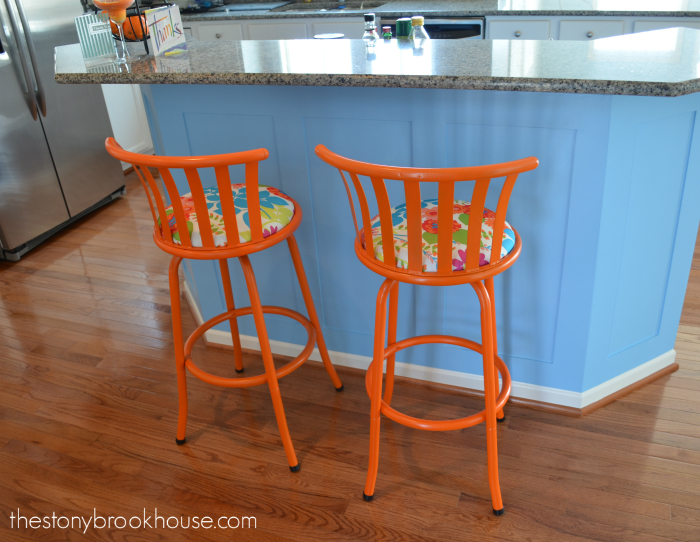 The first set of barstools go around my long bar in the kitchen. 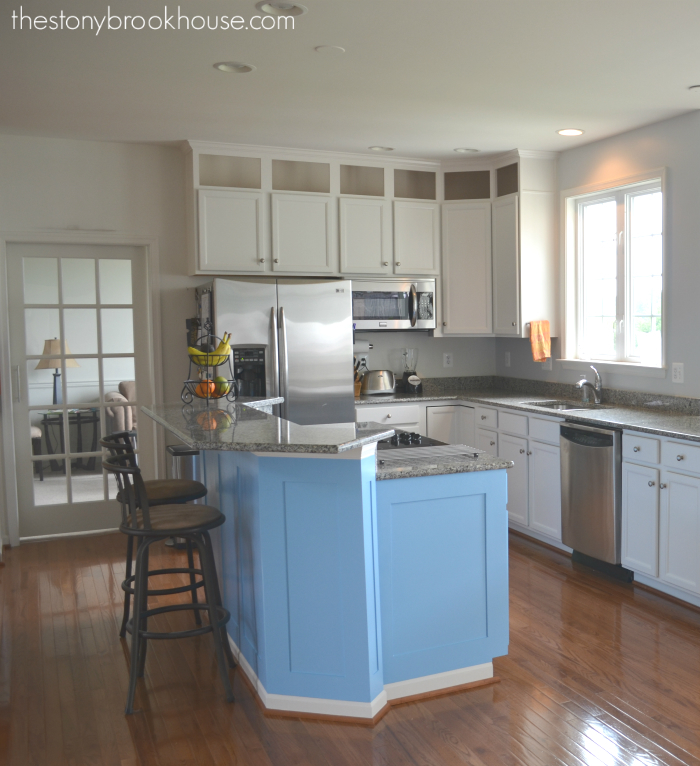 Those barstools are more "counter height". They came out fantastic! 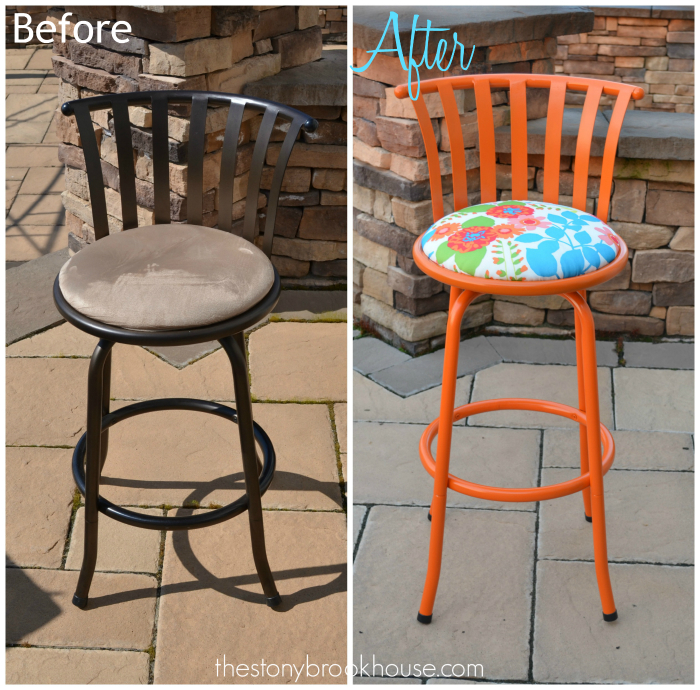 I planned on doing the same thing to the "bar height" barstools, that are at my island. The are the same design just a tad bit taller. Don't they look dreary and drab? 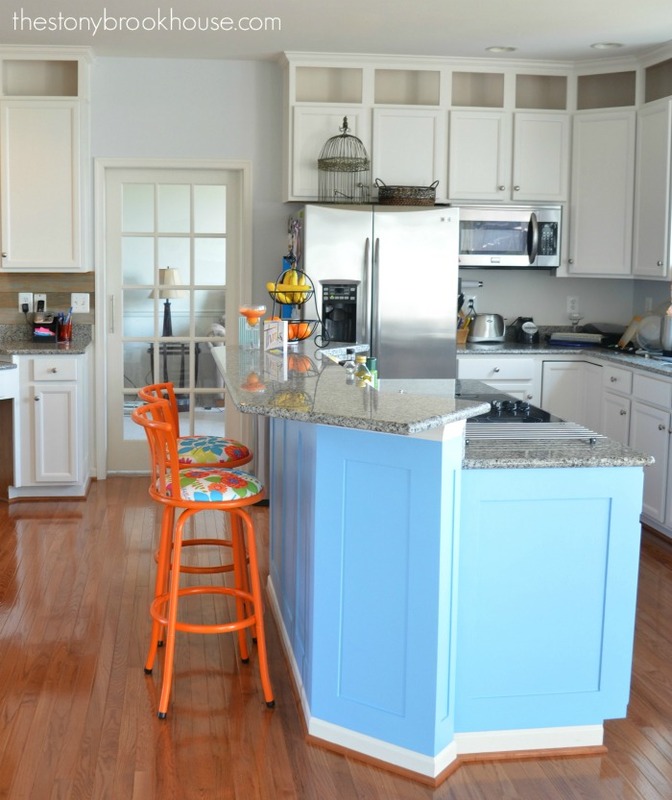 They definitely don't fit in with my bright and fresh kitchen! So, my other option was to use spray paint. I could've spray painted them white, but my "white" in the house is not true white, more of a creamy white. They would have stood out, but not in a good way. I have yet to find a creamy white in a spray paint that isn't yellowy. 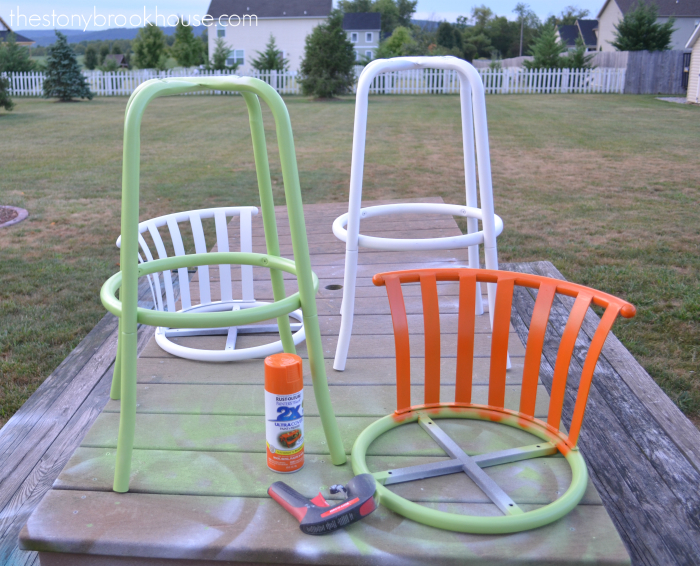 I had already primed them, just like I did in my tutorial on the first set of barstools. Love my favorite spray paint of all time!!! 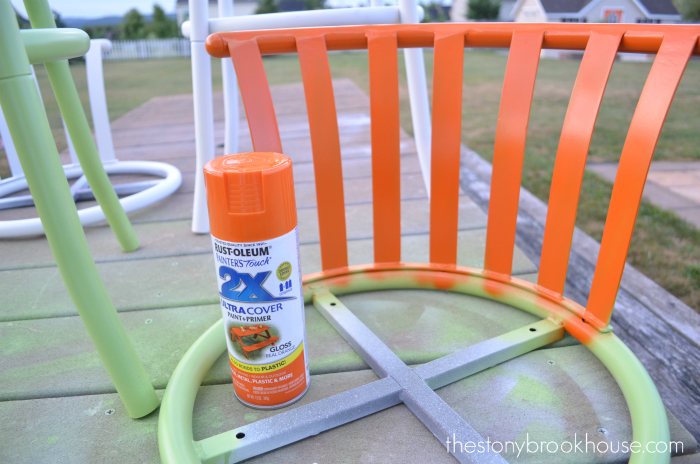 Rustoleum 2X! (no one is paying me to say that!) And don't forget that awesome comfort sprayer. Those two make spray painting a breeze! 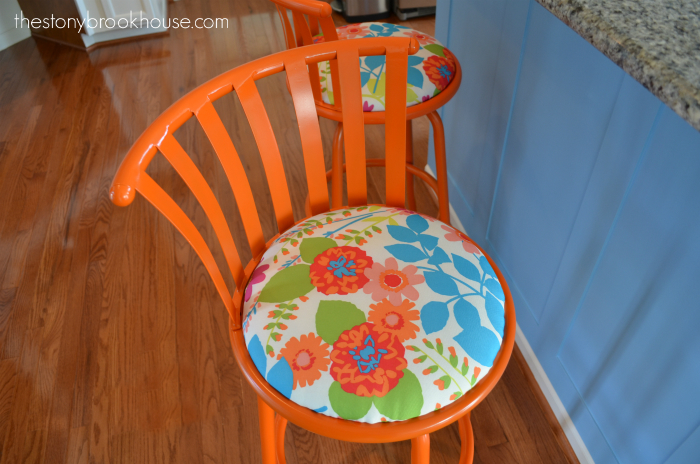 I had those barstools finished in no time! I covered the seats the same way as before. I love the color! I love the pop! That looks so much better than the before picture! I can't believe how nicely the fabric goes! 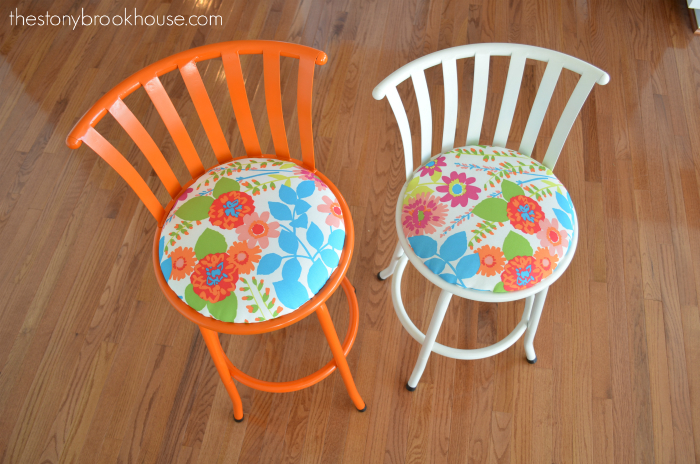 Here are the two different barstools side by side. Isn't it amazing what a little paint can do? Here's all of them lined up.